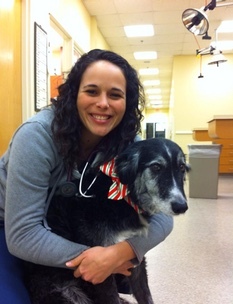 Dr. Rebekah Mack graduated from Louisiana State University School of Veterinary Medicine in 2010, and then spent a year of internship at Bluepearl of Georgia in Atlanta, this was followed by an internal medicine residency at Michigan State University. After completing her residency she spent several years in a private practice referral hospital in South Carolina. She joined IDEXX in 2017 as an internal medicine consultant, and now serves as a medical affairs specialist for the renal franchise. Her professional interests include renal disease, respiratory disease, and managing multiple systemic diseases. Rebekah lives near Portland, Maine with her husband Jon, and daughter Rose. She had two dogs who love to go on long hikes and runs, and two cats who enjoy sleeping.